WorldCast Anglers | WorldCast Anglers is a full service fly shop, domestic fly fishing outfitter and destination travel provider located in Victor, ID, outside of Jackson Hole, WY. Upcoming Hosted Travel With WorldCast Anglers! Travel the world with WorldCast Anglers. From pre-trip to post-trip, our dedicated staff members and hosts will be with you every step of the way, ensuring that your angling journey is seamless, stress-free and the best possible experience available. Black Tail Invitational 2018 Report! 2018 Tournament Report! The Black Tail Invitational is a fly fishing tournament for Permit. The team of Captain and Single Angler, who catch, photograph, measure, release and tag the most inches of Permit combined throughout the tournament wins. 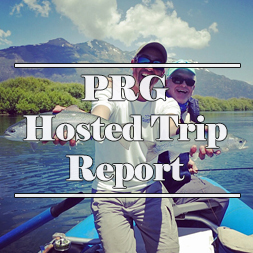 Jackson Hole Fly Fishing Reports! Stay up to date with the latest fly fishing and river reports in the Jackson Hole and Teton Valley area. Consistently updated throughout the week for the Henry’s Fork, South Fork of the Snake, Snake River, Teton River and many more!